Comprehensive and research based, the second edition of NSCA's Essentials of Personal Training is the resource to rely on for personal training information and guidance. 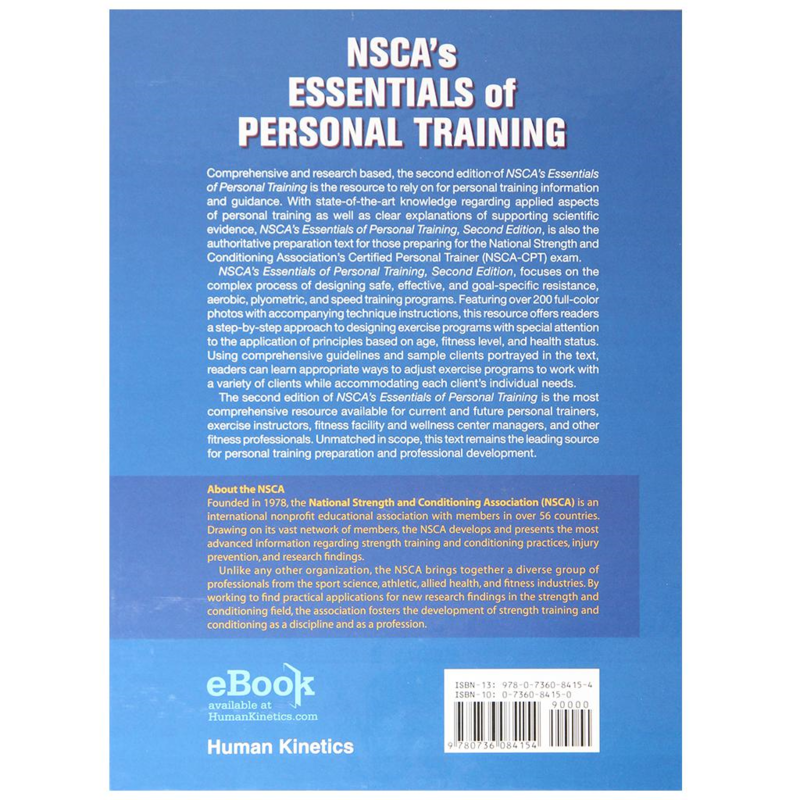 With state-of-the-art knowledge regarding applied aspects of personal training as well as clear explanations of supporting scientific evidence, NSCA's Essentials of Personal Training, Second Edition, is also the authoritative preparation text for those preparing for the NSCA-CPT exam. This essential reference was developed by the NSCA to present the knowledge, skills, and abilities required for personal trainers. A discussion on nutrition outlines the role of the personal trainer in establishing nutrition guidelines, including the application of nutrition principles for clients with metabolic concerns. The latest guidelines on client assessment from prominent organizations-such as the American Heart Association (AHA) and Centers for Disease Control and Prevention (CDC)-keep personal trainers up-to-speed on the latest assessment protocols. New information is presented on flexibility training and cardiovascular exercise prescription as well as a discussion of research on the effectiveness of stability ball training. Revised information on the design of resistance training programs incorporates the latest information on the application of periodization of training. New information addressing injuries and rehabilitation prepares personal trainers to work with clients with special concerns such as orthopedic conditions, low back pain, ankle sprains, and hip arthroscopy. New guidelines for determining resistance training loads will assist those whose clientele includes athletes. A variety of fitness testing protocols and norms allows readers to select from several options to evaluate each component of fitness. For those preparing for the NSCA-CPT exam, this second edition features new and revised study questions at the end of each chapter. These questions are written in the same style and format as those found on the NSCA-CPT exam to fully prepare candidates for exam day. For efficient self-study, answers to study questions and suggested solutions for the applied knowledge question are located in the back of the text. Chapter objectives and key points provide a framework for study and review of important information, while sidebars throughout the text present practical explanations and applications of scientific concepts and theory. 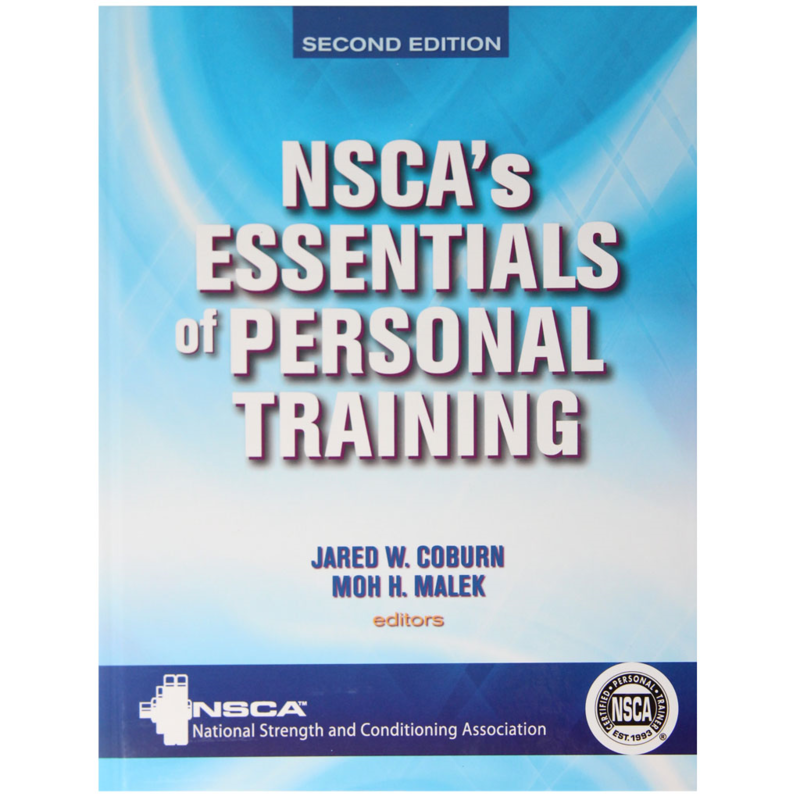 The second edition of NSCA's Essentials of Personal Training is the most comprehensive resource available for current and future personal trainers, exercise instructors, fitness facility and wellness center managers, and other fitness professionals. Unmatched in scope, this text remains the leading source for personal training preparation and professional development.